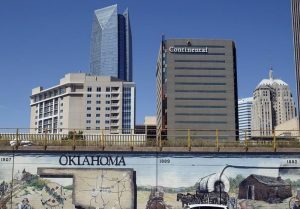 A multi-well single pad drilled by Continental Resources Inc. in the STACK produced more than 6,000 barrels of oil a day for the Oklahoma City energy company. Three Jalou wells located about 5 miles northeast of the community of Greenfield in Blaine county had production of more than 2,000 Boed each. The largest of the Jalou wells, the Jalou 4-25-36xhm located at 24 15N 11W had production of 2,573 Boed along with significant gas production of 12,141 Mcf. The well’s spud date was in April 2018 and drilling end a month later with completion reported in September 2018. Two other Jalou 3-25-36xhm wells were drilled from the same pad and each had production of 2,005 Boed and 9,316 Mcf of natural gas. Both were spuudded in April with drilling ended in May and completion in September 2018. But Continental Resources also had the Madeline 2-4-9xhm well at 4 16N 12W with production of 2,548 Boed along with 5,952 Mcf of gas. 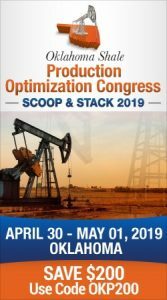 Located about 5 miles northwest of Watonga, the well had an April spud date with drilling finished in May and completion made in June 2018. The company also had a large natural gas well it drilled 7 miles north of Hydro. The Vincent Way Fiu 1-2-11xhm is located at 35 14N 13W and had a November 2017 spud date. Drilling finished in January 2018 and completion came in May 2018.